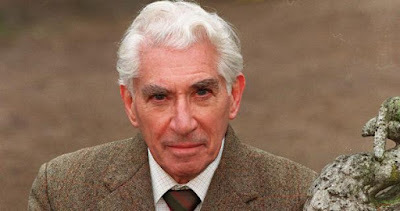 You can thank Frank Finlay — the prolific and prodigiously talented British actor who passed away Saturday at age 89 — with saving audiences from the dreary spectacle of mediocre or worse performances by an infrequently employed character actor: Me. No joke: There was a time in my life — very early in my life — when I wanted to be an actor. And I was so determined to be a stage and screen superstar that I let nothing, not even my painfully obvious lack of talent, stand in the way of pursuing my dream. Indeed, even after my clumsy performance as Shylock in a disastrous high school production of The Merchant of Venice — highlighted by a scene in which, while demanding my pound of flesh, I tossed a fellow student cast as Antonio onto a table that promptly collapsed under his weight — I opted to hone my craft as a drama major at the University of New Orleans (then known as Louisiana State University of New Orleans). It didn’t take long for me to realize, however, that I enjoyed my journalism courses much more than my drama courses, and that I had, despite persistant urges to act, a genuine fire in my belly for writing. Whatever lingering doubts I had about my true calling were pretty much banished the first time I saw a re-release of Othello, director Stuart Burge’s stripped-to-essentials 1965 film of the National Theatre Company’s production of Shakespeare’s classic. I was greatly impressed by Laurence Olivier’s controversial performance as the Moor, and thoroughly enchanted by Maggie Smith as a sensual Desdemona. But I was downright astonished by Frank Finlay — by turns silkily beguiling and blunt-force brutal — in the role of Iago. And that — along with my junior-year self-appraisal that I was the worst actor in all of Christendom — was what pushed me in what I hope has been the right direction. Even so, I never held my rude awakening against Frank Finlay. In fact, I suspect his inadvertent vocational advice was part of the reason why I became such a fan, and why I always took such delight in seeing him not only in starring or co-starring parts, but as a supporting player (sometimes a scene-stealer, sometimes a fleeting presence) in movies as diverse as Martin Ritt’s The Molly Maguires (1970), Stephen Frears’ Gumshoe (1971), Alan Bridges’ The Return of The Solider (1982) and Norman Jewison’s The Statement (2003). A personal favorite: His stylish swashbuckling turn as Porthos in Richard Lester’s The Three Musketeers (1973), The Four Musketeers (1974) and The Return of the Musketeers (1989). The first of these films — which also featured his amusing cameo as a jewelry maker — allowed Finlay an opportunity to commit first-degree alchemy, so that he could transform even throwaway dialogue into laugh-out-loud funny business through his dry-wit delivery. When reminded that discretion is the better part of valor, his Porthos airily disagrees: “I can’t be discreet about how valiant I am. Shouldn’t be asked.” At another point, as he and his comrades gallop off to a rescue, he asks, more annoyed than anxious, “Can someone please tell me just where we’re going?” For decades after seeing The Three Musketeers together, my wife and I quoted that line to each other, in Finlay’s quizzical tone, usually — but not always — during extended road trips. Finlay also played Inspector Lestrade to two different Sherlock Holmeses — John Neville in A Study in Terror (1965) and Christopher Plummer in Murder by Decree (1979) — and made the most of a bad situation (playing the straight-man part of a British police superintendent) while Alan Arkin tried his best to replace Peter Sellers in Inspector Clouseau (1968). He was aptly seductive and affectingly wistful as the eponymous romancer in Casanova (1971), a six-part British miniseries written by Dennis Potter (The Singing Detective), and relentless and resourceful as vampire slayer Abraham Van Helsing opposite Louis Jourdan’s prince of darkness in Count Dracula (1977). But wait, there’s more: Finlay was the breeder of The Deadly Bees (1966), the foil of Shaft in Africa (1973), Jacob Marley to George C. Scott’s Ebenezer Scrooge in A Christmas Carol (1984), the ill-fated father of Adrien Brody’s title character in The Pianist (2002) — and the aged dad of Helen Mirren’s formidable Jane Tennison in the final two seasons of Prime Suspect (2003, 2006).